C/A's annual theater production will take place in the C/A gym on Friday, May 3, 2019, at 7:00 p.m. This year's play, The Scheme of the Driftless Shifter, is a mixed-up melodrama. It's a play about a group of people putting on a play. The show is rife with bumbling actors, missed entrances, missed cues, and backstage crew members who want to be on stage. "It's silly and it's fun," says Mr. Bill Vander Clute, C/A's Drama and Middle School English teacher, who is directing the play. The show's cast consists of Middle and High School students, as does the technical crew and stage manager. In addition to Mr. Vander Clute, other teachers who are assisting with the production include Ms. Jackie McLoughlin, Ms. Ksenya Litvak, Ms. Sarah Wondra and Mr. Daniel Furman. C/A faculty members "attend class" too! 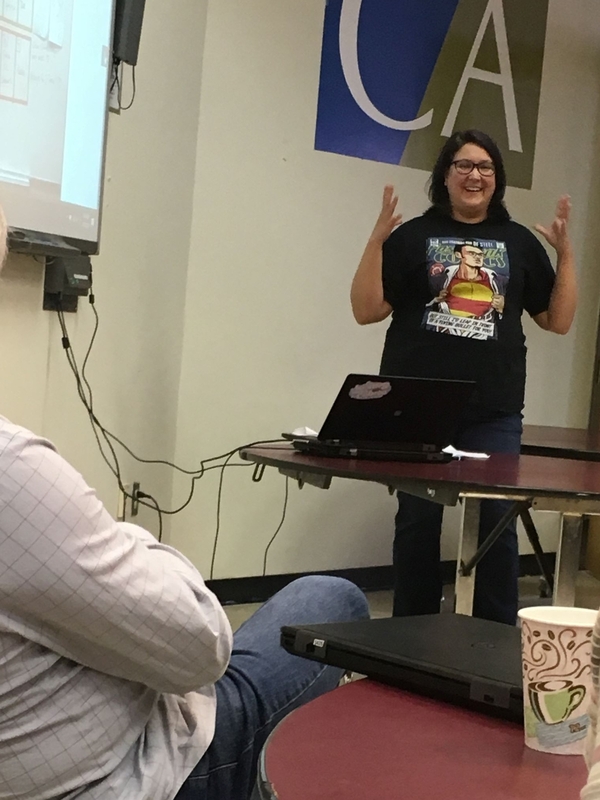 Recently, two teachers shared their professional development findings and learning experiences with their colleagues. Ms. Chamberlain presented her research on "Building an Executive Function - Friendly Foreign Language Experience" and Mr. Weimar shared practical strategies for fostering kindness in children. 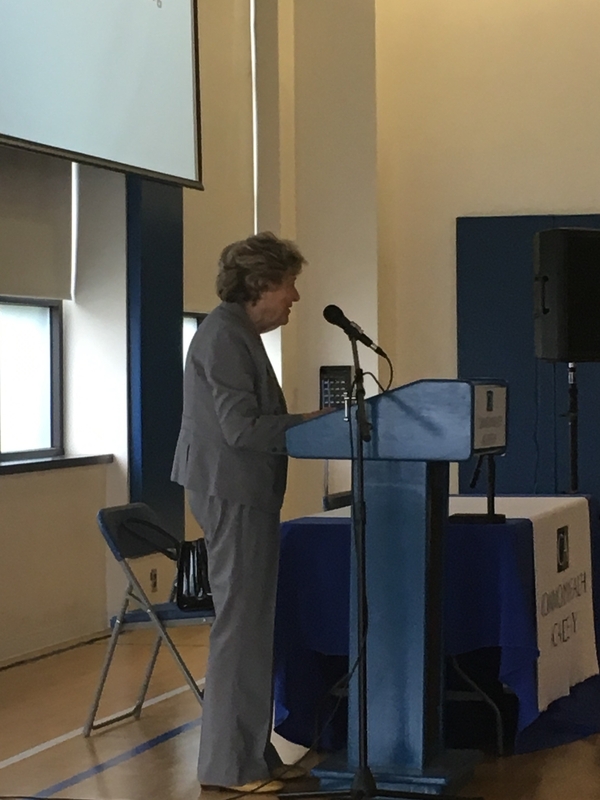 C/A was honored today to hear a powerful presentation by Ms. Halina (Litman) Yasharoff Peabody, a survivor of the Holocaust. Ms. Peabody held the attention of students in every grade level as she spoke of her traumatic experiences as a child during WWII. Halina was nine years old when the Nazis carried out their first Aktion against Jewish civilians in her town. She said that her mother's bravery throughout the terrifying events and years that followed served her and her sister's survival. "War is a horrible thing and my prayer is that we will one day stop having wars. I hope that you will be good to each other and always work together," she told C/A's student body. Thank you to the JCRC of Greater Washington and the United States Holocaust Memorial Museum for their assistance in arranging Ms. Peabody's visit. 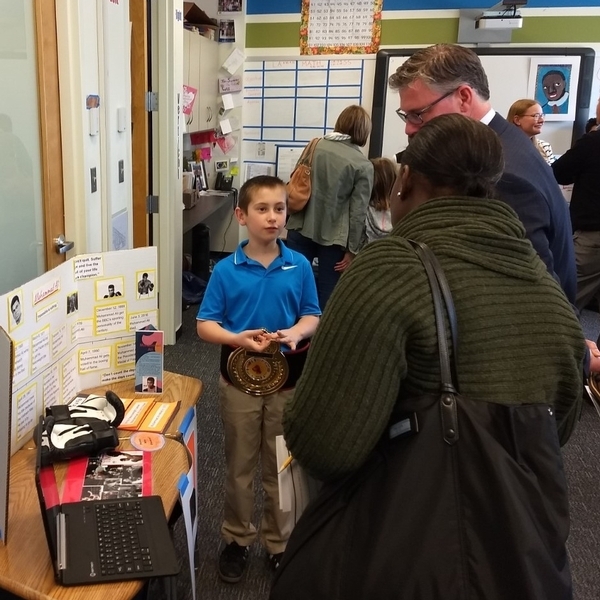 Family members joined the Lower School at the annual Interactive Museum to celebrate our students' hard work and learn about the past and modern-day heroes students chose for their project. Individual photos of our students dressed for their presentations can be viewed on our website by clicking HERE. 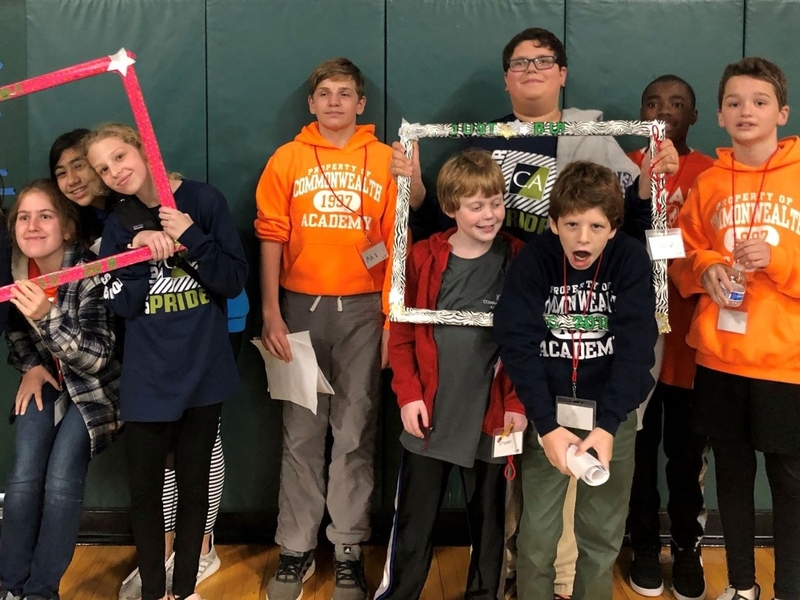 Through out the 2nd quarter, students in 6th, 7th and 8th grades spent many hours defining a problem they had identified and then researching, building and testing their product solution. 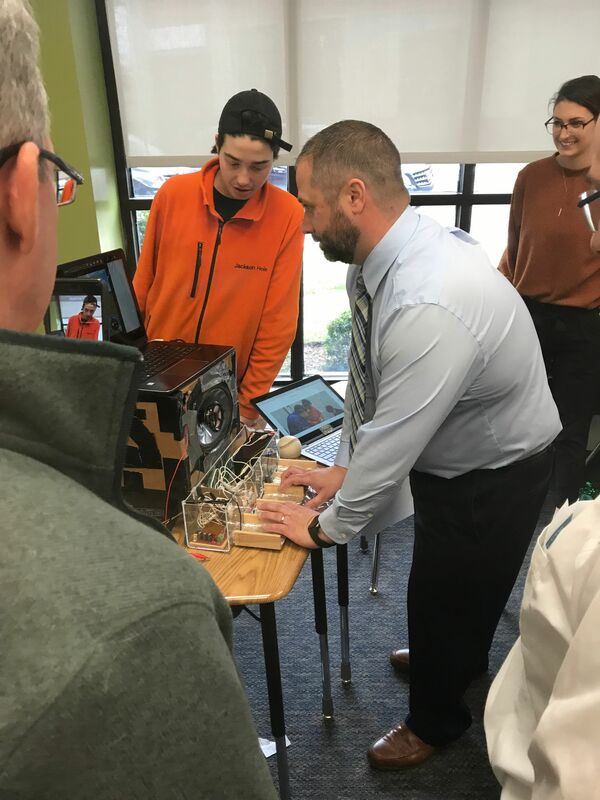 Their hard work paid off as family members, teachers and students enjoyed touring the 2019 Innovation Fair. 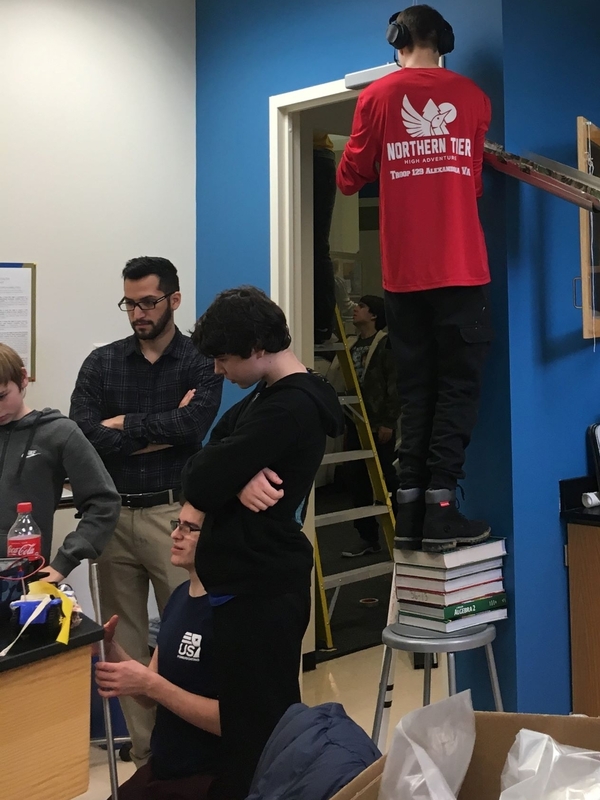 Students were excited to describe a wide variety of innovations in the areas of environmental science, aerospace engineering, and entrepreneurship. To view a slideshow of photos from this year's Fair, visit our website and click HERE. 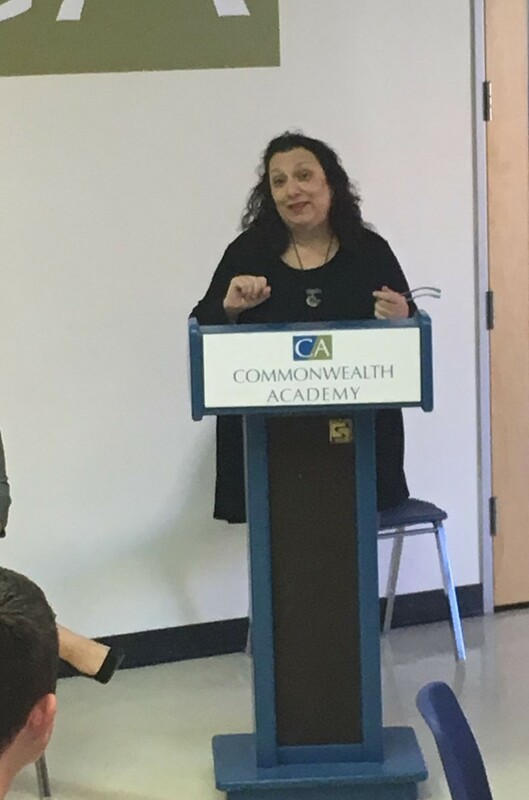 Thank you to Alexandria City Poet Laureate Wendi Kaplan and 13 of Nazareth, a local poet, for offering their suggestions on creating poetry at C/A's Poetry Slam. Our students were proud to present their poems to the two published poets, along with their classmates, parents, teachers and others in attendance. Kudos to High School English teachers, Mr. Owens and Ms. Shipman, for organizing this special event. Our students' creativity seems to be unlimited! 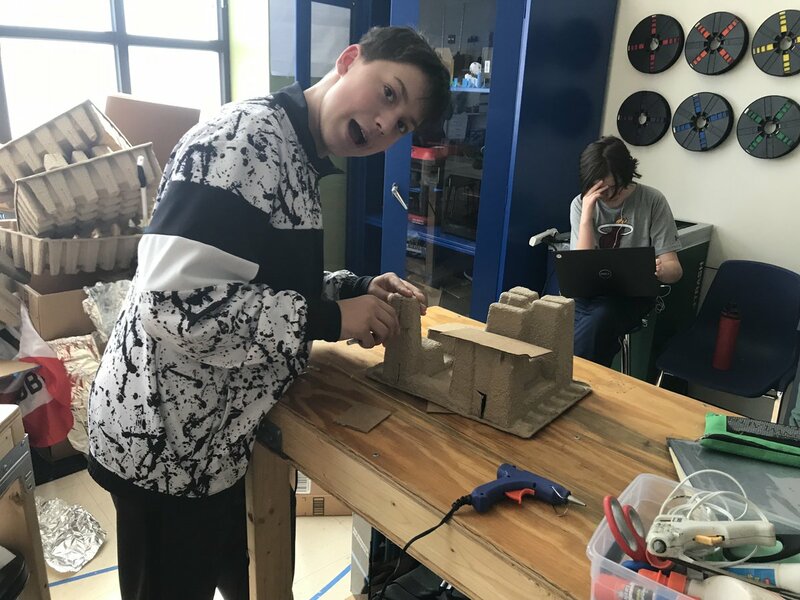 Middle School students in Ms. Furton's Design class are creating their own tiny home village. They researched tiny homes and villages being built in the US and abroad. Students then designed a village map and 3D-printed parts of the interiors and exteriors of their tiny homes. Students in World History 2 and Humanities 10 History, with Dr. Littlefield, are studying the rise of Nazi Germany. 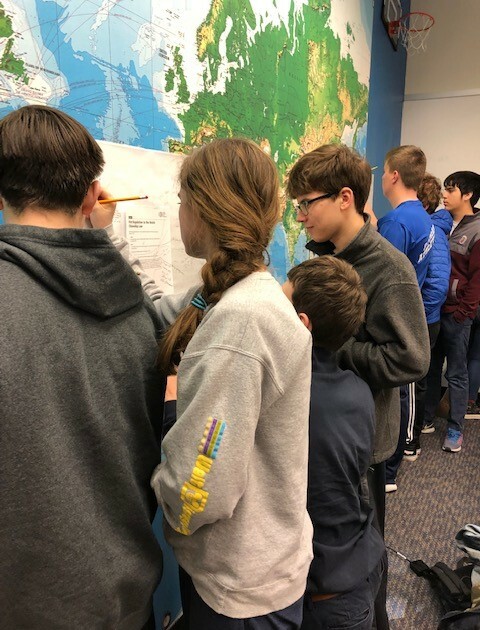 Students participated in a new activity called Silent Conversations as they reviewed the Nuremberg Laws that redefined the meaning of citizenship in Germany and specifically targeted Jews and others as being outside of the universe of obligation (specifically how the nation perceived members of the German nation). Students were divided into three groups and were given five minutes to read the law and write comments, ask questions and respond to each other without talking. They then rotated to the next station, where they read the next law and comments by the previous group, adding their own. After analyzing all three stations, students shared as a class their observations about the laws and the activity. "Students reported that the activity allowed them to fully express their ideas and get feedback from others in a unique and meaningful way," Dr. Littlefield reported. 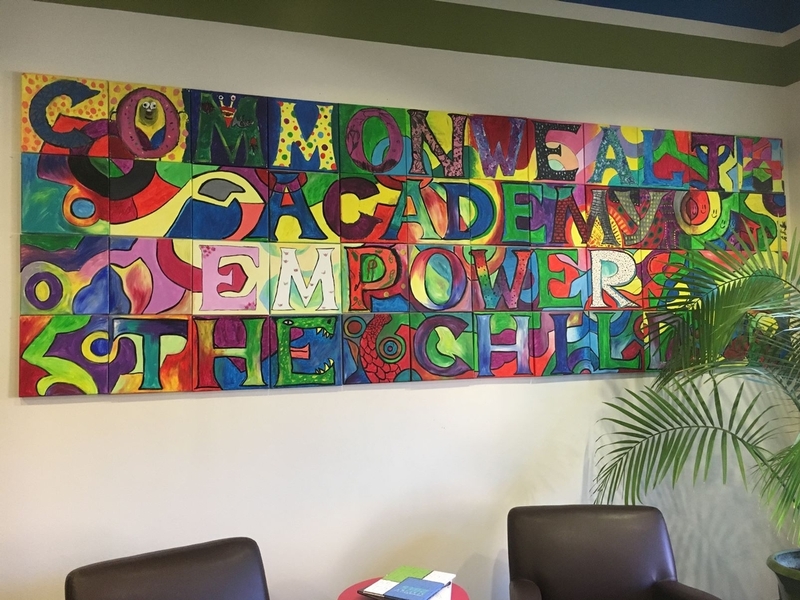 After an extensive national search process, the Commonwealth Academy Board of Trustees is pleased to announce its decision to appoint Anabelle Morgan as the Head of School at Commonwealth Academy, beginning in July 2019. Anabelle Morgan is a recognized educator with more than 25 years of experience, having served as a teacher and administrator at public and private schools in the DC area for most of her career. 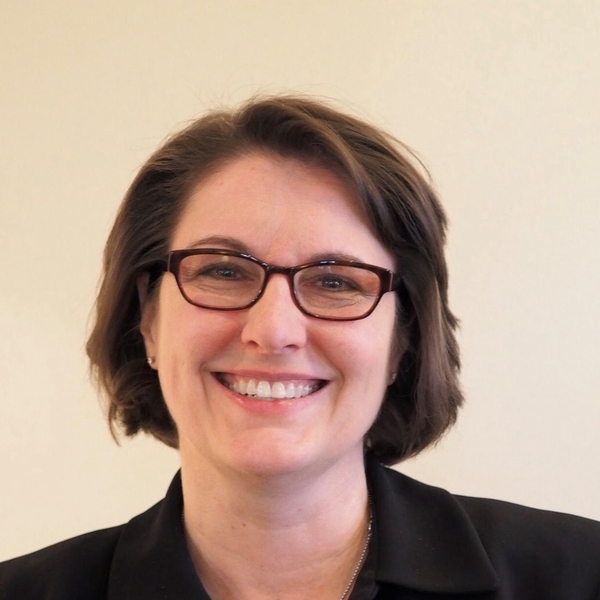 She is currently Head of Middle School for Stone Ridge School of the Sacred Heart in Bethesda, Maryland, where she oversees a faculty and staff of 40 and a student body of 240 students. Ms. Morgan's first letter to C/A's families is posted HERE. 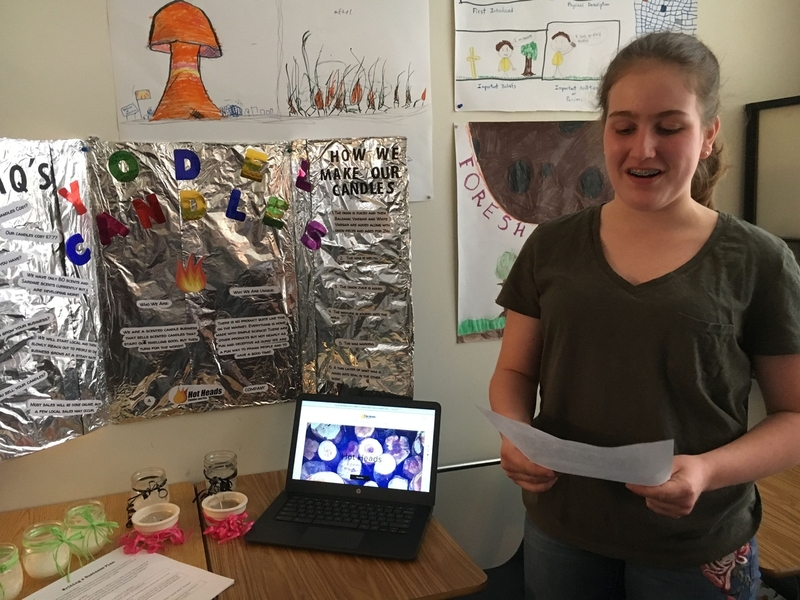 Final Projects on "Things Fall Apart"
After reading the Nigerian novel, "Things Fall Apart," students in Ms. Shipman's Humanities 10 English class shared their final projects. Some students wrote and presented satirical plays in the Igbo tribe tradition. 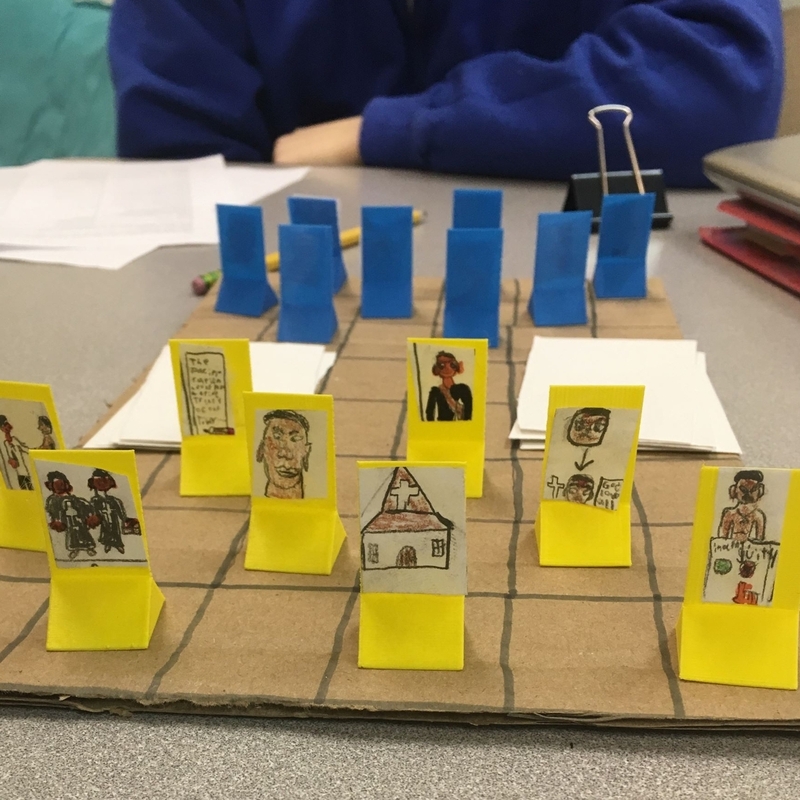 Others created board games with 3D printed pieces and rules based on the novel by Chinua Achebe. This year, C/A is presenting Integrity Awards to those students who embody our Code of Conduct and are standouts in the classroom and engaged in our school community. Students are nominated for this award by their teachers. 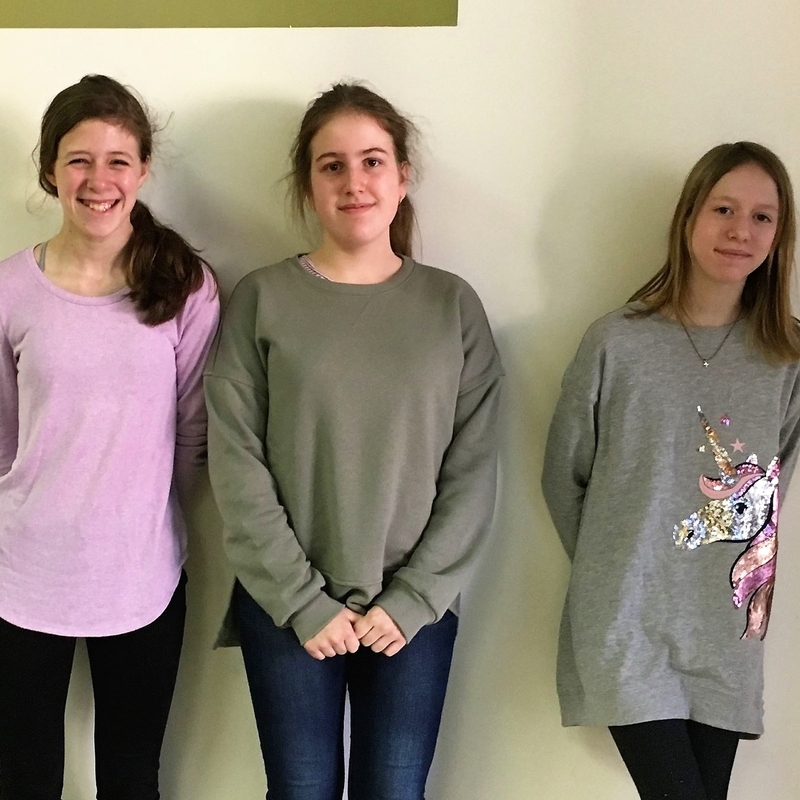 Congratulations to the High School students -- Sage (9th grade), Chloe (10th), Chris (11th) and Noelle (12th) -- who were presented with C/A Integrity Award for the 2nd Quarter. Middle School students who earned the C/A Integrity Award are Charlotte (6th grade), Eva (7th) and Kristi (8th). Philip Best, Ph.D., a noted neuroscientist, visited C/A this week to share information about the brain. He presented interesting lessons (with props!) to students in High School Biology, Biochemistry, Anatomy & Physiology, and Psychology classes. 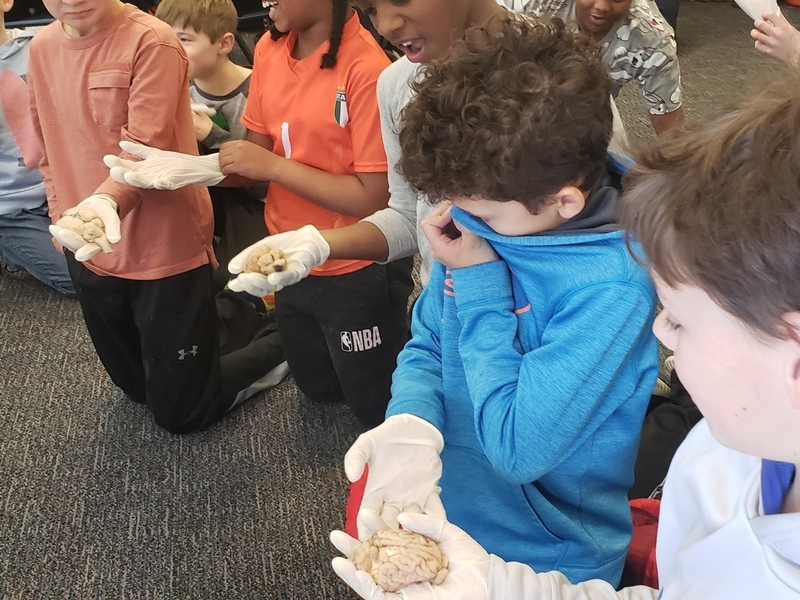 He also talked to Lower School about the function and powers of the brain and offered students an opportunity to touch pig and sheep brains. Students were fascinated! Dr. Best is a visiting professor in the Psychology & Neuroscience Graduate Program at U.Va. He was on the Nobel Laureate team in 2014 that discovered place cells. Commonwealth Academy will offer Algebra 1 and Algebra 2 classes for credit this summer. Two not-for-credit courses – Algebra 2 Readiness and Pre-Calculus Readiness -- will also be offered. For rising 5th – 9th grade students, C/A is offering an Adventure Camp and a Sports Camp in conjunction with Sports & Adventure Camp. 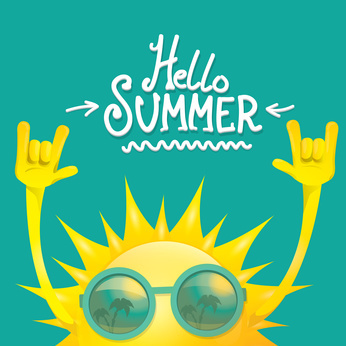 The C/A Summer Program registration form with details on dates and times, pre-requisites, deposit, tuition, and payment options can be picked up at the Front Desk or completed online at https://goo.gl/forms/shOzh76GisYaAMy82. Please return the form with your non-refundable deposit no later than Monday, May 14, 2019. 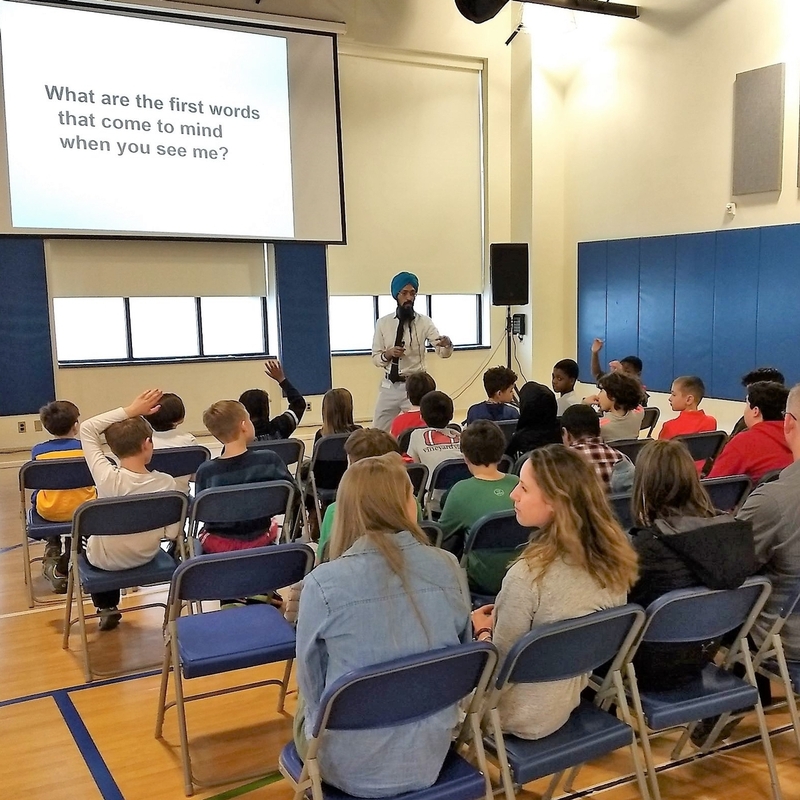 C/A students and faculty were encouraged by Vishavjit Singh @sikhtoons to consider identity, race and defining one's narrative during last week's Assemblies. How do we view ourselves? What assumptions do we make regarding appearances, cultures or races? What are our superpowers? Thanks, Mr. Singh, for using the power of art to #empowerthechild! C/A's J-Term offers our high school students a concentrated period of enrichment (two weeks, every January) through project-based learning. Students selected from a wide variety of exciting areas of inquiry and learning, wherein they studied specific topics in depth. 2019 topics included: Hamilton, Renewable Energy, Forensics, Aventuras con Alebrijes, Podcasting, Yearbook, Rube Goldberg, Humanities 10, First Aid, Mindfulness, Immigration, El Turista, Speech & Debate, Aerodynamics, Basketball, and Senior Seminar. View photos from this year's J-Term HERE. C/A is one of six high schools invited to participate in the 2019 Alexandria All City High School Art Exhibition. This is the second year Commonwealth Academy will participate, under the guidance of Ms. Ksenya Litvak, C/A Art teacher. This year eight artworks from C/A's Portfolio Preparation Art Class will be submitted. 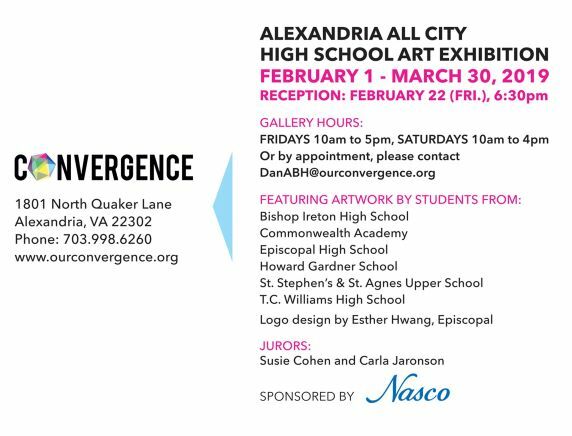 C/A student artists to be honored are Phoebe G., Sergey H., Nelson T., Mena S., Evie A., Eliza B., Lucy S., and Merrill H.
The exhibit will run from Friday, February 1st through Friday, February 22nd at The Gallery @ Convergence, 1801 N. Quaker Lane, Alexandria, VA 22302. The Gallery Hours are Fridays, 10:00 a.m. - 5:00 p.m., Saturdays, 10:00 a.m. - 4:00 p.m.or by appointment (phone 703.998.6260). The student artists will be honored at an Artists Reception on Friday, February 22, 2019, 6:30 p.m. - 8:30 p.m. at The Gallery. Valentine's Day is February 14 and many in the C/A school community are starting to shop for gifts. If you shop online at Amazon.com, sign up for AmazonSmile and select Commonwealth Academy as the organization you would like to support. When you begin shopping, #StartWithaSmile, and Amazon will donate 0.5% of the purchase price to Commonwealth Academy. AmazonSmile is the same Amazon you know -- same products, same prices, same service. Bookmark this LINK to begin. Students in the Advanced Art Class are preparing their portfolios for entry into a National Art Contest. Middle School students from C/A's Student Council and Spirit Committee recently attended the fifth annual Diversity Conference at St. Stephen's and St. Agnes School. This year the conference was centered around empowering our students to be beautifully unique and to embrace their values and differences. 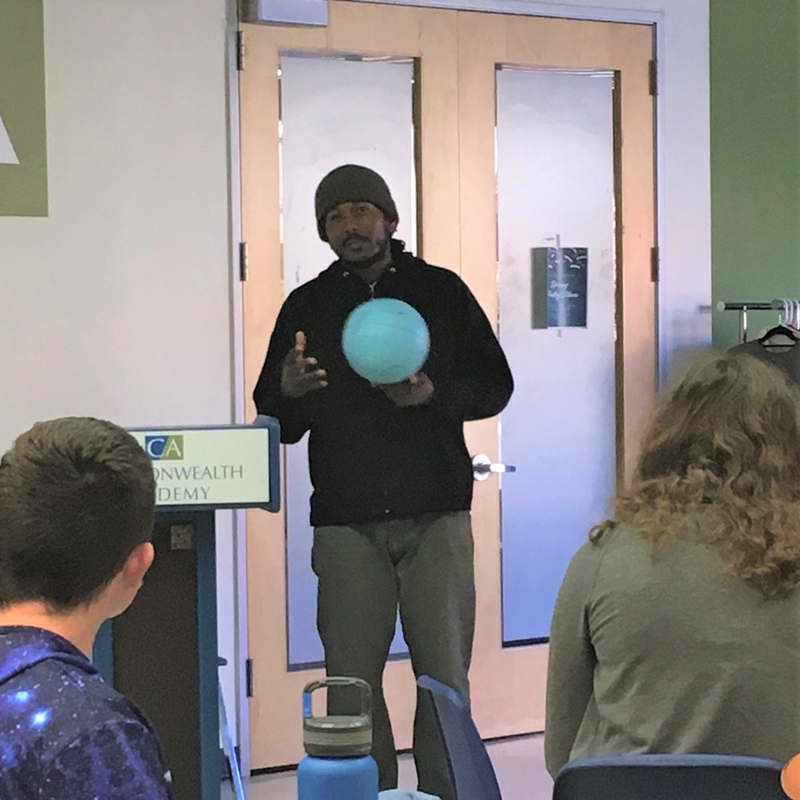 Attendees participated in interactive activities, peer-led workshops, and discussions on how to challenge themselves to examine who they are, why it is important, and the impact they can have on the world by just being who they are. C/A's delegation will share what they learned and experienced with their peers in Middle School. 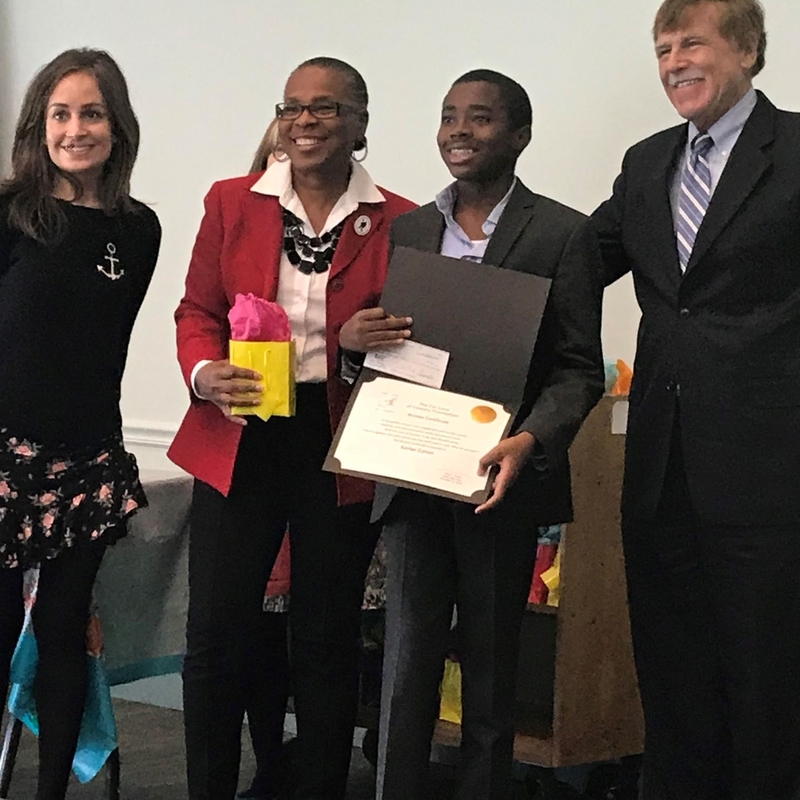 Xavier, a Middle School student at C/A, was awarded a bronze certificate and cash award for his essay entry in the "For Love of Country" essay and poetry contest. The contest was sponsored by the Alexandria Library and the For Love of Country Foundation. Xavier posed with local dignitaries at the recent "Love of Country" celebration. Congratulations, Xavier! C/A is proud of your accomplishment! 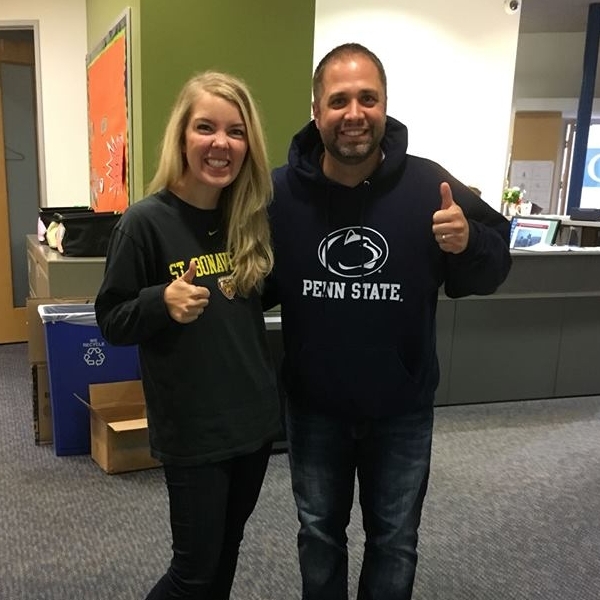 While our sophomores and juniors focused on taking the PSATs on October 10th, faculty dressed in college spirit wear to cheer them on! This past summer, Robert H. Bork, III (C/A Class of 2016) served as an intern to Sen. Charles Grassley, Chair of the U.S. Senate Judiciary Committee, before heading to University College, Oxford, where he took courses on the European Union and Comparative Public Policy and Law. Robert received As in both courses from Oxford dons and gives thanks to his C/A teachers who "taught me to write and debate." Robert is a third-year Politics, Philosophy and Law major at the University of Virginia. 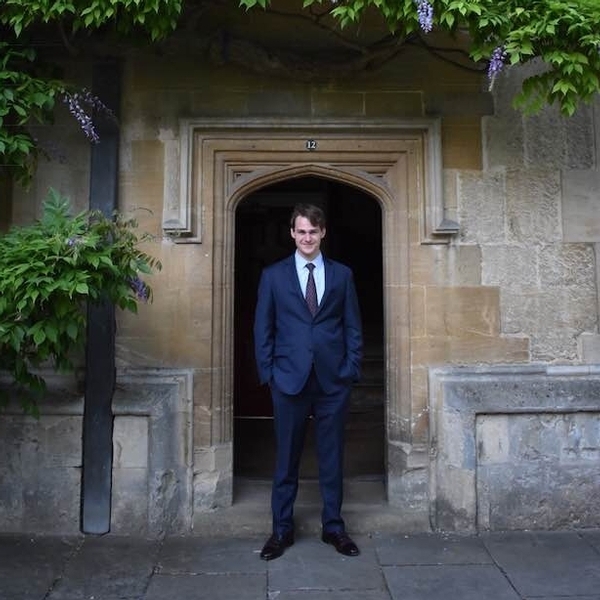 He is Treasurer of the Jefferson Literary and Debating Society and VP of the Burke Society. During an on-campus team-building activity earlier this month, High School students and faculty created 50 different tiles that would eventually be combined to hang as artwork in the C/A lobby. 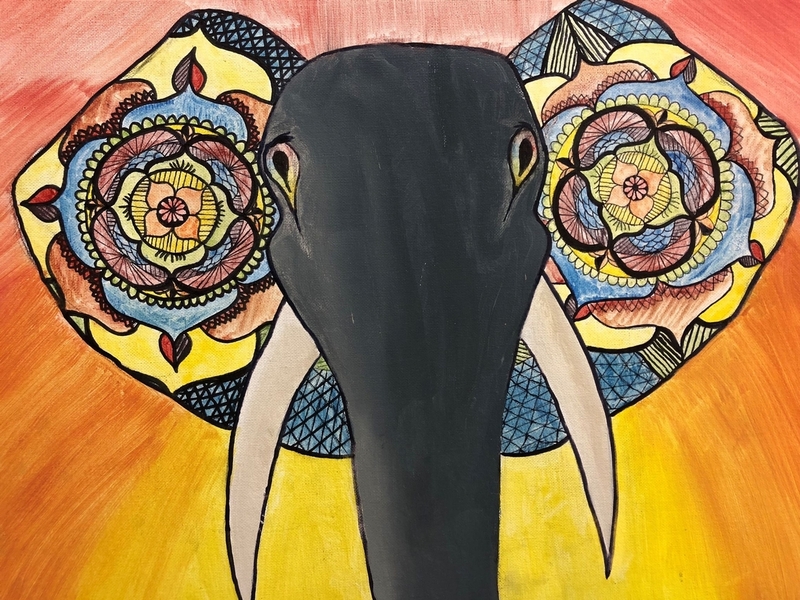 "The assignment was to coordinate your individual tile design with those that would hang immediately to the left and the right of your tile," Ms. Litvak, C/A's art teacher, explained. The completed masterpiece now hangs in the front entryway, impressing our guests and visitors. Can you read the message embedded in the tiles? This school year C/A implemented a new cell phone policy in Middle and High School. 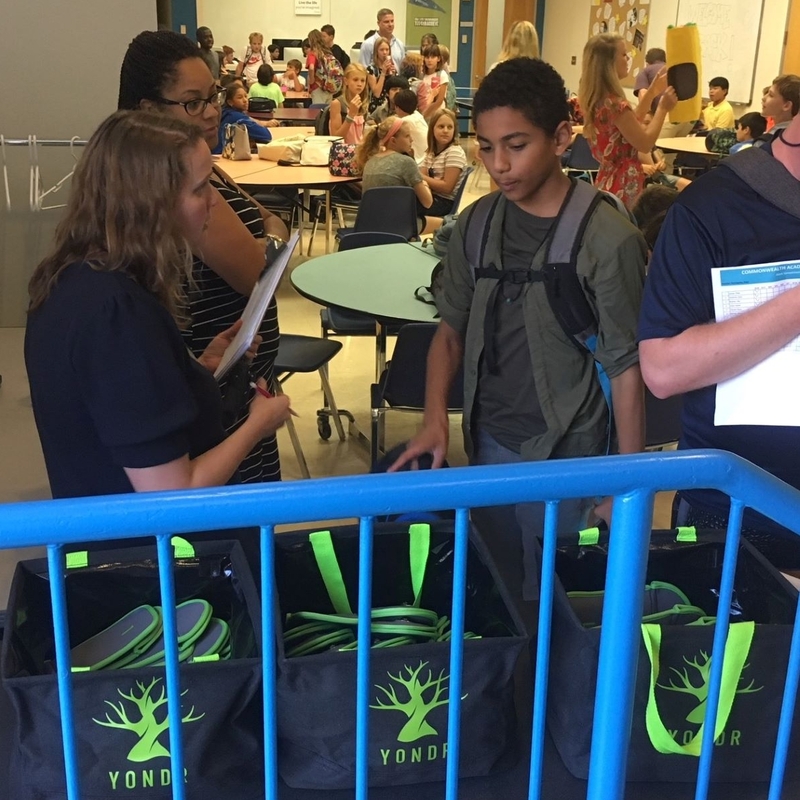 Students lock their cell phones in #Yondr pouches when they arrive at school and retrieve them at the end of the school day. So far, it's working well. Faculty and parents are positive about the change. There are fewer distractions in the classroom and students are talking with one another during break and lunch, rather than staring at their screens. C/A's Art teacher, Ms. Litvak, has posted photo albums of students' artworks on C/A's Facebook page. 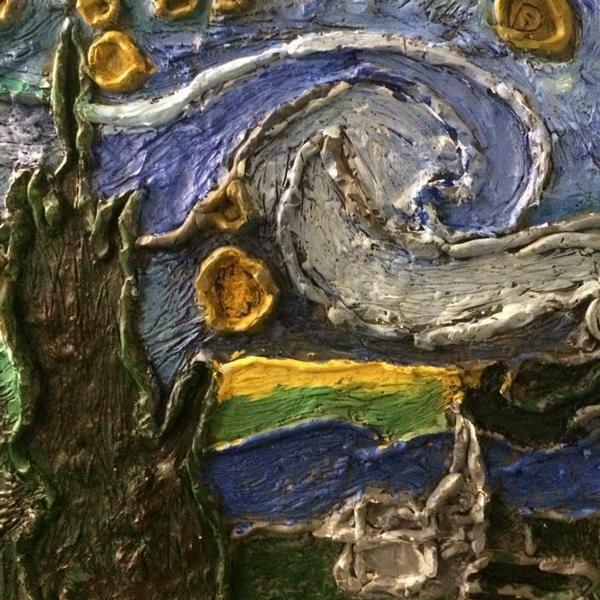 Check out the creative endeavors of our Lower School students, Middle School students, and High School students in Art and Advanced Art classes. Science learning takes place in the classrooms, in the hallways and out-of-doors at C/A. 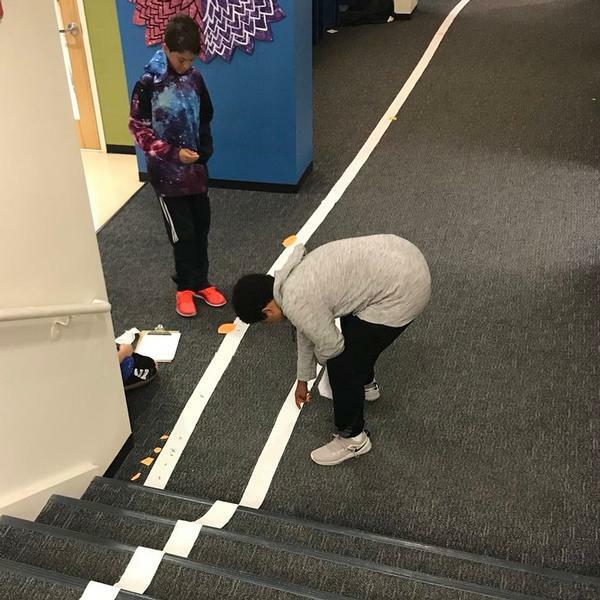 For their Unit on the Solar System, Ms. Hogan's Middle School students created scaled models to see how vast the distances are between planets, tracked the sun's movement throughout the day, and explored the phases of the moon. "The Detective" was a Smash! 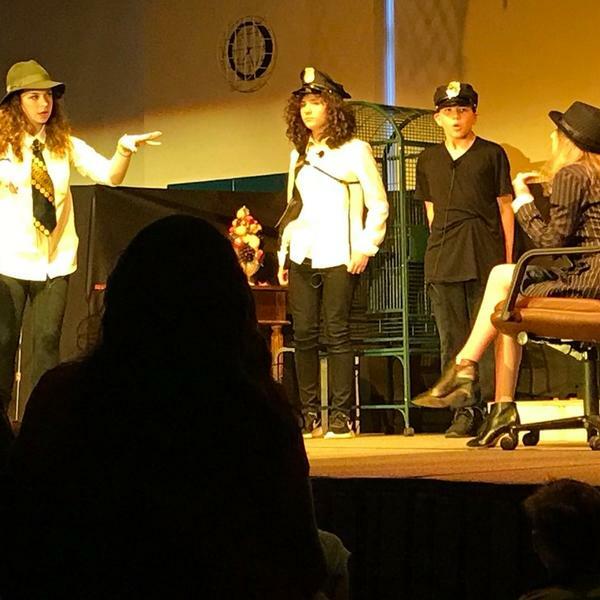 C/A's annual theatre production was a huge hit, judging by the reactions of students, parents, teachers, and staff who attended the evening's performance. Mr. Bill Vander Clute, Middle School English teacher, directed "The Detective" and wrote the music, lyrics, and script. Mr. Andrew Davie, High School Writing teacher, was the musical director and Eliza Anderson, C/A Class of 2021, was the stage manager. Ms. Ksenya Litvak, assisted by her Art classes, created most of the props, the set backdrop, and a number of costumes. Middle and High School students acted in the play, performed in the band, and provided lights and sound. A limited number of videos of the play are available to purchase ($15 each) at the Front Desk. 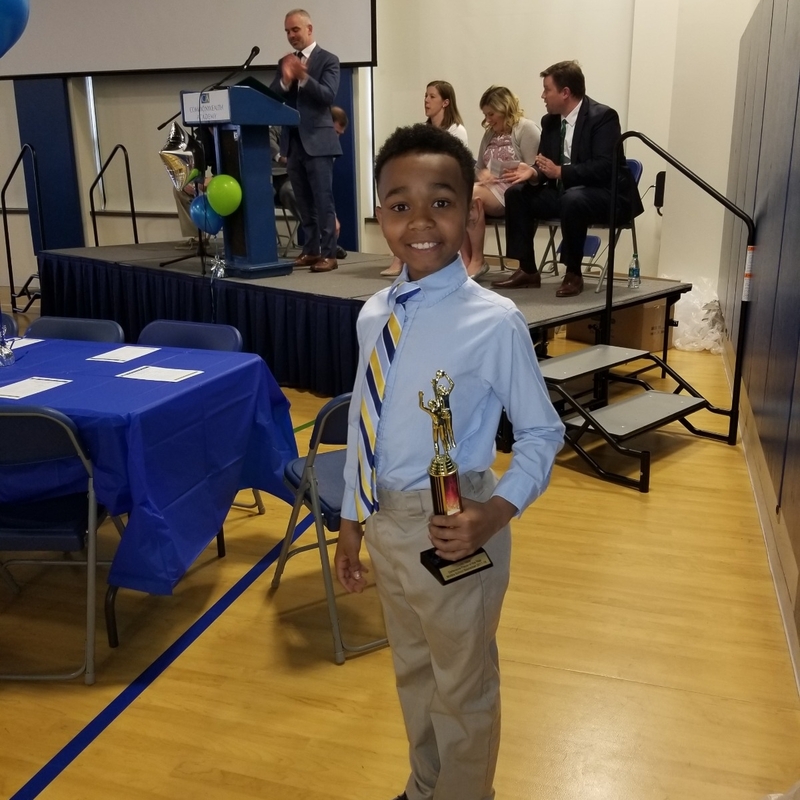 C/A hosted its first Athletic Banquet on April 18, 2018. The event proved to be a big hit with students, coaches, and parents! More than 150 people attended, as C/A scholar-athletes were recognized for their participation on C/A's various sports teams. Additional photos are posted on C/A's Facebook Page. 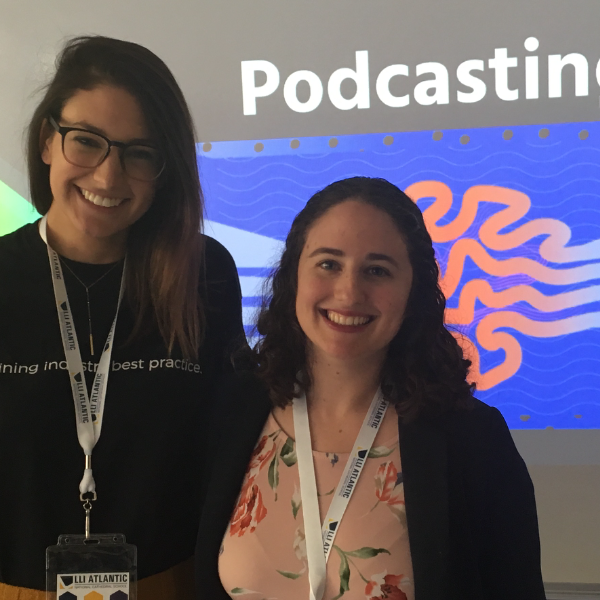 C/A educators, Molly Shipman and Allison Furton, conducted a session on Podcasting at the LLI Atlantic STEAM Conference. K-12 teachers and those of all disciplines attend the annual conference, seeking hands-on learning to incorporate STEAM skills and competencies into their classrooms. "Our session was well-attended and we received great feedback from the audience," Ms. Shipman said. Ms. Furton and Ms. Shipman recently taught a session on Podcasting to c/A High School students during J-Term. 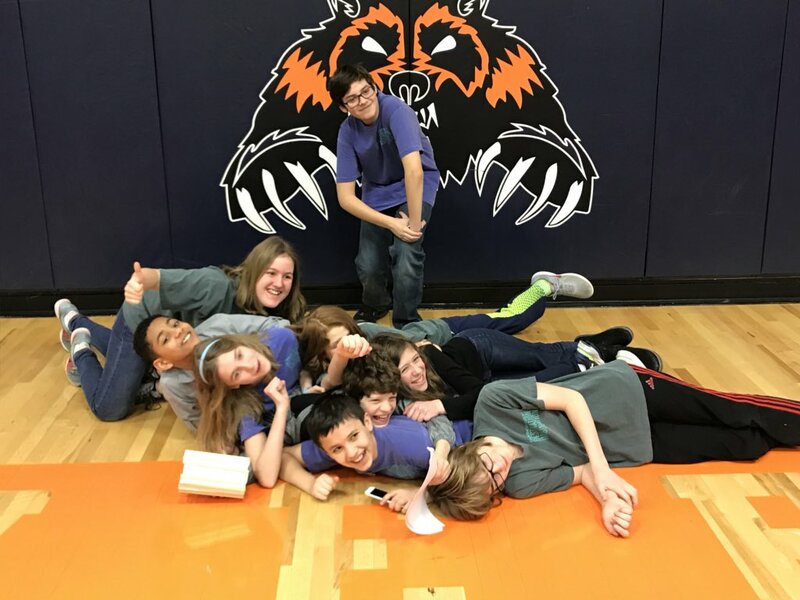 Both Middle School Destination Imagination teams qualified to compete in the Virginia State tournament, held on March 24, 2018 in Mechanicsville, Virginia. 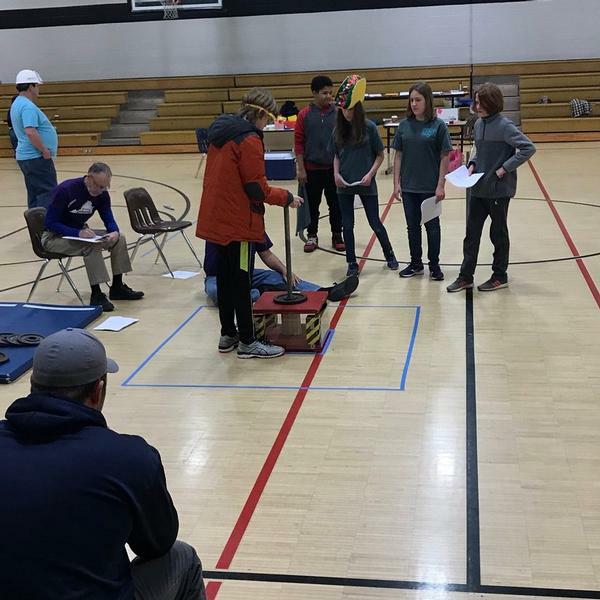 This was C/A's first year to field teams for Destination Imagination, which hosts local and state competitions to foster student creativity and innovation through project-based learning. Congratulations to the student teams and to Ms. Olivia Hogan, DI Coach. Ms. Hogan reports that students are eager to gear up already for next year's challenges! 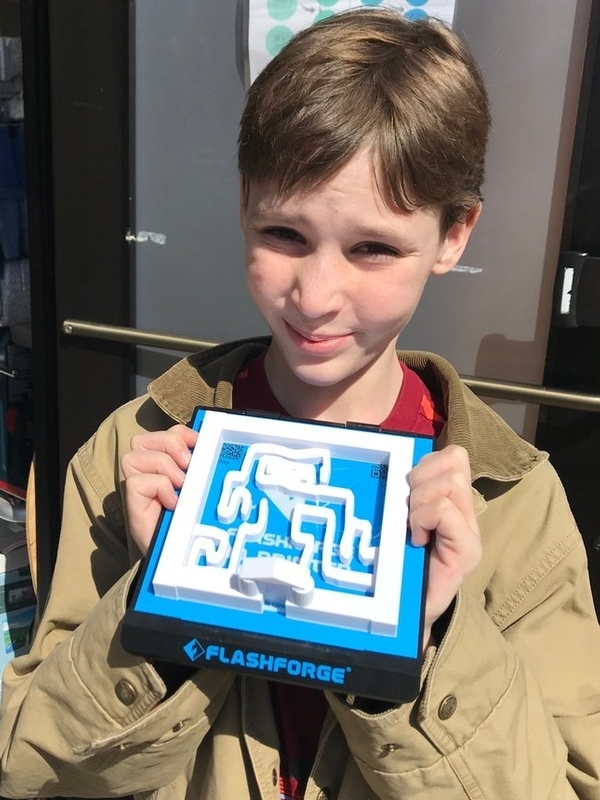 The Lower School Interactive Museum was an unqualified hit, judging by the reactions of parents, grandparents, siblings, teachers, and students. "Our students were fantastic!" said Mr. Seré. "They knew their topics well, their final products looked phenomenal and their parents were greatly impressed." It was evident how well teachers had equipped and prepared students with the skills and tools needed to succeed with their museum projects. 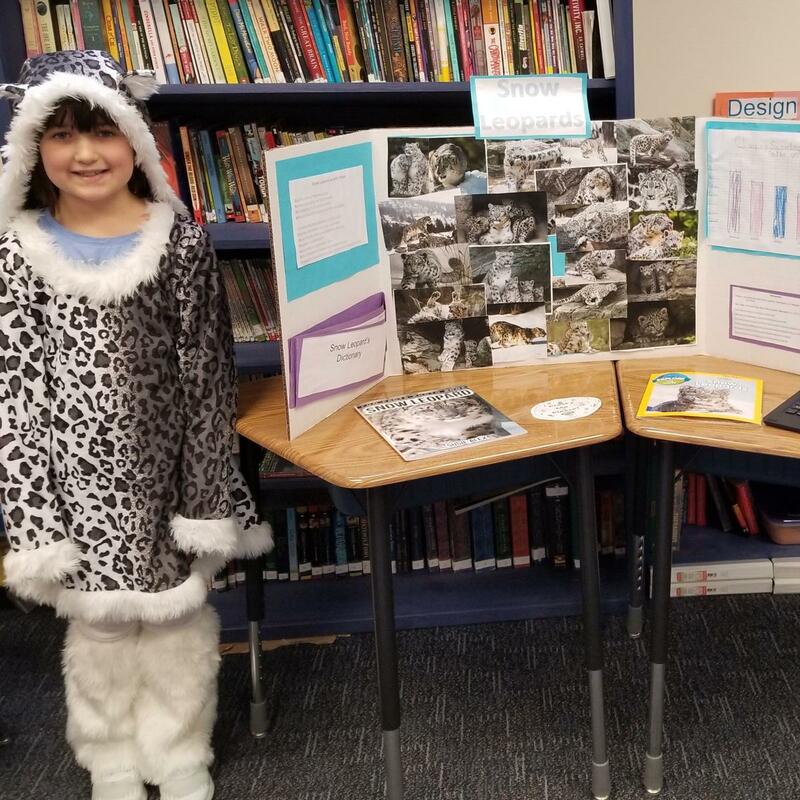 Students were proud and enthusiastic to share what they had learned about their endangered animals, inventions, and heroes. Click HERE to view more photos from the 2018 Interactive Museum.